The hearings, held from March to July 1950, were extremely stormy and attracted much media attention. The Committee published a report denouncing McCarthy and his claims as a hoax. 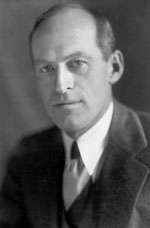 John S. Service, a Foreign Service officer and long-time “China hand” who had criticized Chiang Kai-Shek, was one of those accused. 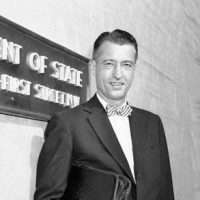 In these excerpts, Service describes the frustrating sham hearings he endured, the support he received from his colleagues at the Department, and his eventual dismissal from the Foreign Service on December 13, 1951. Part II, taken from his wife, Caroline’s, oral history, deals with their struggle to make ends meet after he was dismissed, the isolation they felt for the years they fought to reclaim his honor, and the Supreme Court decision which vindicated him. You can also read about Service’s experiences in China and other Moments dealing with China and McCarthyism. SERVICE: We came out on leave in California, and then McCarthy started his speeches around Lincoln’s birthday, early February, Wheeling, West Virginia. All sorts of numbers, 207, 257, 81, 57, and so on of people employed in the State Department who were Communists or pro-Communist. Or traitors, security risks, and so on, all sorts of things. Perverts were apt to get thrown in too at that time. …I assumed, of course, that I would be in the list. McCarthy had already attacked me on the floor of the Senate. So I went every day down to the Berkeley Public Library to see the New York Times. Senators challenged McCarthy: he couldn’t just indulge in this sort of wild, random accusations. They wanted some evidence. [While in Japan] the radio operator one night at supper said, “Say, is your name John Stewart Service?” I said, “Yes.” He said, “There’s been a lot of stuff about you on the radio news, talking a lot about you in Washington.” This was the first intimation we had. We went up and heard a news broadcast over his radio. We were not well informed. We didn’t really know what was happening. The news broadcasts were very sketchy. Certainly annoyed, uncertain of course, about what was going on, but not particularly concerned. After all, I’d been through the Amerasia case [when the FBI raided the magazine’s office in 1945 and found classified material. Service was implicated because he had given a declassified briefing] and gotten a unanimous clean bill. Anyway we expected the State Department to be detailed and difficult. But we thought of the Tydings (seen at left) Committee which had been set up by this time, a subcommittee of the Senate Foreign Relations Committee, to hear McCarthy’s accusations and charges, as being the principal forum, because of its public importance. Lattimore’s tactics had offended really some of the people who were inclined to support him simply because he had been so extreme and violent. It wasn’t a dignified way to act. We decided it would be better tactics to be low key, to admit some blame. It was obvious that I had behaved in an abnormal fashion. We couldn’t explain in detail why I had. We had to admit some indiscretion. That was generally our policy. So that, the Currie business was not an overwhelming disaster. I think this may have been a subjective judgment by my lawyers. I may have overstated it, but they were in contact with all sorts of people. As I mentioned, Reilly was a friend of some of the senior, older senators. He may have gotten it from them. They were always in contact with a lot of other lawyers who were following these things very closely. I think the general feeling was that Lattimore might have helped himself if he hadn’t been quite so combative. He overdid it. Certainly I couldn’t have played that same kind of role. I’m just not the kind of person. Also, I was a government employee. Lattimore was not. He was a private citizen, had been outrageously attacked, and had a right to be outraged. There were hearings before the State Department board, not every day, but almost every day, from May 26 to June 24, sometimes fairly long, some days not so long, depending on the board members’ available time. They were, of course, all people with other jobs to do. … I won’t go into the details here. We asked for Hurley [a diplomat in China with Service] to appear, but Hurley declined. He would have had to agree to cross-examination by my attorney if he had appeared, and he didn’t want to do that obviously. Q: Were you under oath? SERVICE: Oh yes, certainly. It was all semi-judicial. You’re under oath and a transcript is taken. The witnesses were all under oath, and evidence has got to be by oath or affidavit. …I asked for affidavits of testimony from a couple of people–they were army–who’d known me in China or in Japan, and they declined. But I didn’t particularly hold that against them. They were army officers, and they were concerned, obviously, about what it might involve them in. Other people, General [Frank] Dorn, who’d been Stilwell’s closest friend and subordinate in China, and Joe Dickey who had been head of G-2 and people like that appeared without any hesitation, testified very fully. My former chiefs, [Ambassadors] Nelson, Johnson, and Gauss appeared. Gauss’ testimony was interesting in one way, for showing us what happens in your FBI interviews. 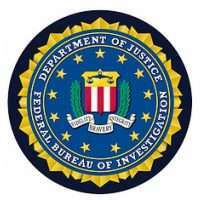 Hundreds of people were interviewed by the FBI. There are always two of them. They talk to you, and then they write their own notes down. What eventually comes back may be quite different from what the person said, because it’s a selective process of what they want to put down in the notes. Then even that is probably selected again for writing up their report. In other words, they’re not looking for good things; they’re looking for bad things. Gauss was able to counteract some of the things that the FBI credited him with having said, but this was a problem in this whole process of interviews by FBI people. At one point when they were talking to me, I tried to have a secretary in the room, and they wouldn’t talk with a secretary present. I wanted her to take notes. I said, “Well, you’re taking notes. Why can’t my secretary take notes?” They said, “Sorry, but we won’t talk to you on that basis.” So, you’re always alone, and there are two of them. You don’t know what they write down, what notes they take. 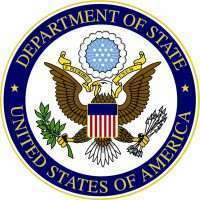 The State Department Loyalty Security Board had a windup hearing on June 24. They told me then that their decision–up to that point–was favorable. They were in a tough spot. We were all unhappy, shall we say. 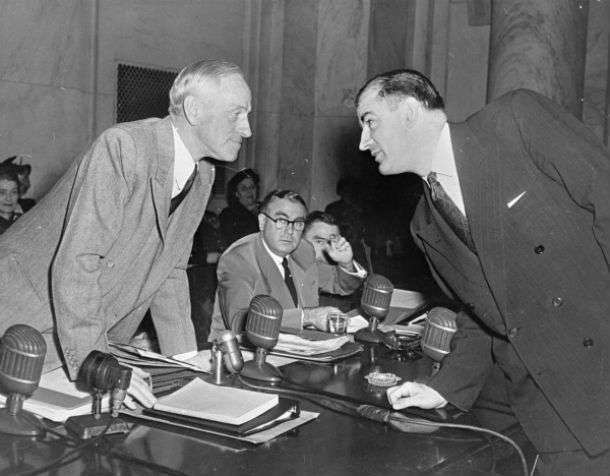 The Tydings committee hearings on McCarthy’s charges had been going on for three months and had produced a great deal of furor, but no clear refutation in the mind of the public of those wild charges. By and large, the Department was quite helpful. We got a lot of information. We knew, for instance, that some of my reports in Jaffe’s possession had Larsen’s fingerprints on them, so he’d gotten them from Larsen; not from me. Information of that sort was proper to give us but if they’d wanted to be unfriendly, they might have withheld it. Some of the wiretap information was rather amusing. They tapped a conversation between Jaffe and Gayn soon after I came back from China in 1945. One of them asked the other had he talked to Service and what did he think of him? The other man said, “Why, Service isn’t even a liberal.” [laughter] At any rate, the board gave a favorable decision and then we moved on the Tydings committee. We had a lot of hassling about whether the Tydings hearings would be open or executive. The committee wanted to have them closed. We insisted that they be open because McCarthy was finding out, from either Republican members or probably from the minority counsel, Robert Morris, something about what had gone on, which then he would give to the press in a very distorted way. This is a problem in Washington all the time of course. We’ve seen it more recently in other hearings. McCarthy was so unscrupulous and tricky about leaking stuff that had gone on in executive hearings that we wanted to have it all out in public. At the last minute they agreed to our request to make it open. … We had three days of hearings. The third day they insisted on being closed because they’d had this so-called secret recording of a conversation between Jaffe and myself. It wasn’t a recording at all. It was a transcription, an alleged transcription, of some sort of a wiretap or a listening device put in a room in Jaffe’s hotel. It was incomplete, very garbled, and some parts unintelligible. We got finally a statement out of the Department of Justice, and they said that it was excerpts, portions, of a transcript and that the original had been destroyed. I think that my tone of voice may have been a little more heated than appears in the printed page. I don’t know. I tend to be too wordy of course, as I am here now. I think this annoyed the senators or whoever was interrogating me. Sometimes I got too detailed, but by this time I’d been doing my homework for a long time and I had an awful lot of information. I’d been through the State Department board as sort of a warm up exercise, so I was primed. I probably was too verbose and too lengthy. They had a terrific hassle in the Senate as to whether or not they would accept it. There was about two or three days of debate. Somehow I got tickets and was in the gallery. 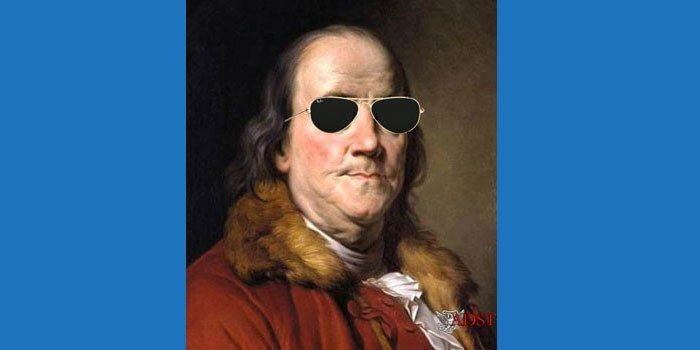 No one recognized me.…The conclusion of the report was very favorable to me.…They investigated the Amerasia case very, very thoroughly, a great deal of investigation of the Amerasia case all through these books. Their report goes into it in detail. They rejected Hurley’s accusations. I was saying before that, after the initial strong support, the Department had to pull in its horns, be more careful, particularly after the November 1950, elections when Tydings was defeated and a nonentity was put in. McCarthy got great credit for the defeat of Tydings. This really added greatly to his political threat. The State Department decided that the sort of confrontational standing up to McCarthy, the tactics Lattimore used, wouldn’t work. After the election, they became very much more cautious.… The State Department board had told me in June, when they finished the case, that they were satisfied. But new information kept being produced. New accusations would come in. Every time this happened, the case had to be reopened. It was very difficult to ever bring anything to a close. Then, the standards were changed. Originally, there had to be a reasonable basis to consider you disloyal. Then that was changed to reasonable doubts of loyalty. All cases had to be reconsidered under the new rules. When you get a certain amount of notoriety and get talked about enough in the press, people come up with all sorts of wild accusations, some completely frivolous, some easy to disprove. Anyway, they decided that I would have to be kept in Washington. The State Department, as I say, was wringing its hands about what to do with me. By this time Foreign Service personnel and departmental personnel had been brought under one personnel office. Pete Martin, I think, may have been head of personnel. I’d known him quite well in 1949 when I’d been working in the Department. About this time — in February actually I think it was — the press told us that Chinese intelligence reports from Taiwan had been supplied to some senators interested in the question of China policy — the assumption was Knowland and McCarthy — and that they were being translated for the senators by the Library of Congress. I went up to the Library of Congress and talked to the head of the Far Eastern section, which was old Arthur Hummel [Sr.], you know, compiler of Eminent Chinese of the Ch’ing Period. I wanted to get either copies of the Chinese originals, or copies of the translations. He was very sorry, but the Library of Congress couldn’t allow me to. It was an agency of the Senate or the Congress, and they could only work for Congress. So, it was something that he couldn’t let me have. 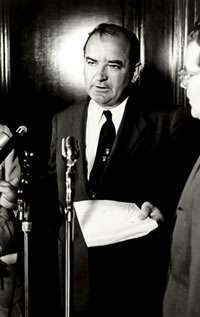 Whichever senator it was, and I assume it was McCarthy, he leaked the reports to Fulton Lewis. 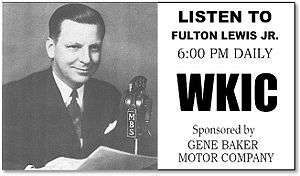 Then Fulton Lewis had a fine sensational series of his reports. We had gotten a specific charge from the Loyalty Review Board, so we assumed–we read this literally–assumed that our charges would be the same. There wasn’t much for us to do in the way of preparation. We just sort of went in and said, “Here we are.” We didn’t prepare a case. The thing was actually held in early November, November 8. Three very distinguished elderly lawyers. The early morning hearing was very rigorous and concentrated heavily on Jaffe and my association with Jaffe. I was very discouraged at noon time, but Ed [Rhett] said, “Oh, don’t worry.” He didn’t think it was that bad. These guys were good lawyers, competent and experienced and they knew how to conduct a good cross-questioning. The afternoon was rather deceptive because it was very relaxed. They asked me about what life was like in Yenan and my contacts with Foreign Service officers. Everyone laughed about some of the reports such as the views of Captain Alsop. Bingham was present himself most of the time — a rather forbidding, scowling presence — just as an observer. But he wasn’t a member of the panel. I pointed this out to Ed. I wrote him a short memo, I think, and I pointed out how the whole thrust of the questioning indicated they were confused about what charges I had been given in my original letter. So, then what to do about the mix-up in the charges? They said, “Well, we can have hearings all over again if you want.” But, they didn’t think it would make any difference. Ed’s own feeling was that these were very experienced, reputable lawyers. They suggested a stipulation that the hearings were conducted as if we had been informed of the charges. The afternoon session was just so that it didn’t look too much like a kangaroo court. In other words they wanted to make the hearing last a little longer, but they hadn’t really any need to know much more, so the afternoon was very relaxed. I don’t think that signing the stipulation was our downfall in the sense it could have altered things any. Q: In your opinion what were the grounds for their decision at that time? I wasn’t used as the Department scapegoat. There’s just no basis for that. The Department, as I say, was pretty much on my side. The State Department at the Humelsine level, the top level, tried to cut its losses at the last minute. They weren’t going to make any fight about it. But up to that point they had stuck by me through a lot of thick and thin. I was a scapegoat in a sense, a whipping boy– That isn’t the right word. I turned out to be an easy, vulnerable target for McCarthy and for the China Lobby and for the Kuomintang.